We were given a sneak preview of this lamp several months ago and the moment we saw it we knew Darø were onto something special. Its one of those clever but simple ideas that makes you wonder why it wasn’t thought of before. 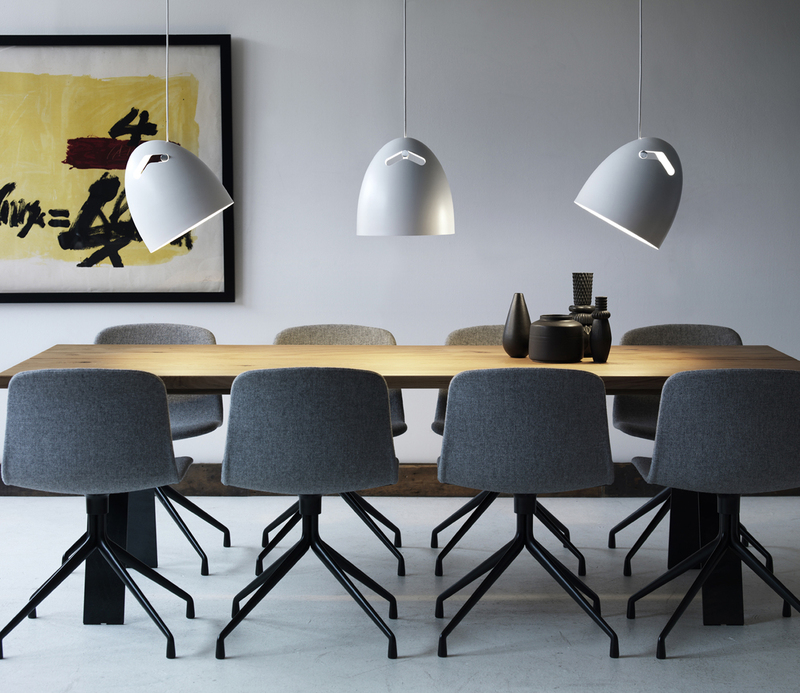 The shade of Bell+ is mounted on a simple suspension which allows it to be tilted. The light can be directed making it particularly suitable for above tables and bars. 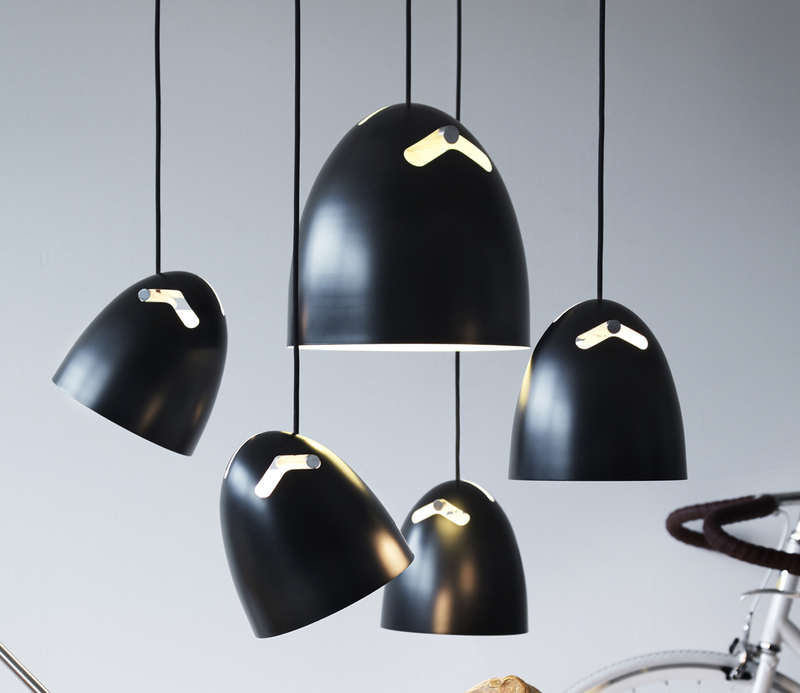 The designer is Thomas Holst Madsen, whose work is characterised by simplicity but with an element of surprise. The design challenges the concept of a light as something static; it encourages the user to engage. Another important factor in the design is the distribution of the light not just the down light which can be adjusted through the tilt but also as the light escapes through the top meaning the lights character changes when switched on. FunktionAlley in association with Interface; the worlds largest producer of carpet tiles will be presenting Bell+ during this years Clerkenwell design week which takes place between 20-22 May. But of those of you who can’t make it over to the Interface Showroom, you can see bell+ in this short video. The UK launch of Bell+ takes place on the 20th May at 1 Northburgh Street, London, EC1V 0AL .